Pour the applesauce and optional spices and sweetener into a slow cooker. Place two chopsticks or knives on top of the pot and place the lid on top. This will allow the steam to escape while cooking. Turn on Low and cook for 8-14 hours, stirring occasionally. When the desired thickness is reached, turn off the slow cooker and let the apple butter cool. It will have browned slightly. Taste and adjust seasonings/sweeteners to taste. Freeze in freezer bags or freezer containers, can in jars (see How to Make Canned Applesauce), or refrigerate in a sealed container for 1-2 weeks. 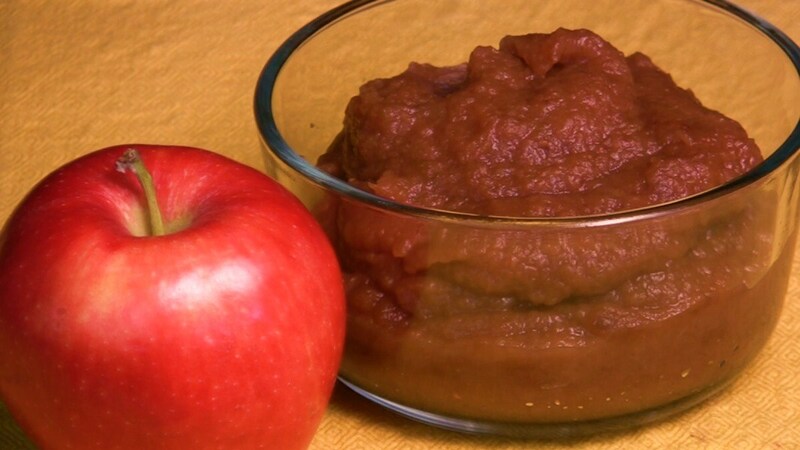 *Watch this video, How to Make Applesauce, to learn how to make your own home-made applesauce.